Our company is among the most trusted companies in the industry that deals in the supply of the Sandblast Rubber Hose that can be availed in different sizes. These products are manufactured from optimum quality rubber obtained from our dependable vendors. Assembled in wind pressure sand-spraying machines, the efficient hoses are well known for their high burst pressure and high wear resistance characteristics. 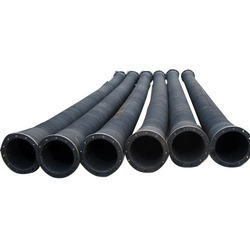 Size 1/4"to 3", 2" to 12", 1" to 12", 3/8" to 2" & 1/2" to 4"
Our company is engaged in offering Rubber Rubber Rock Drill Hose that is majorly used in pneumatic compressors, railway construction sites, irrigation, mine and other areas. 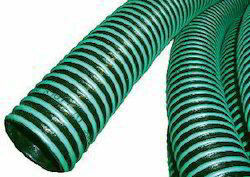 The cover of these hoses is made from natural rubber and exhibits high resistance to adverse weather conditions. Made available in a varied series of specifications, these hoses are well known for their excellent resistance to oil and abrasion. Cover Abrasion, ozone and weather resistant. We are engaged in the manufacture and supply of Rubber Carbon Free Cable Coolant Hose ideal for any type of heating and induction melting equipment. Made available in different sizes, these high functionality hoses make use of electrolyte grade copper rope to obtain maximum conductivity. The offered range of long lasting hoses depicts high resistance to heat and oil. 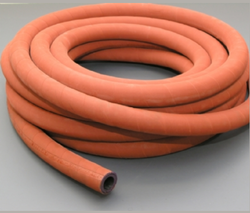 Keeping in mind the exact requirements of clients, we manufacture and supply a wide assortment of Rubber Water Hose. Natural or synthetic rubber obtained from our trustworthy vendors is used for making these water hoses. Provided with double tired cord reinforced layers, the presented series of water hoses is applauded for its high durability and strength. 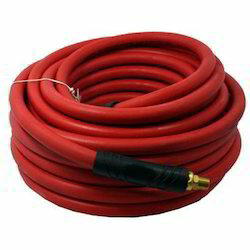 Counted as one of the prominent distributors and suppliers, we are involved in manufacturing and supplying a wide assortment of Rubber Air Hose. 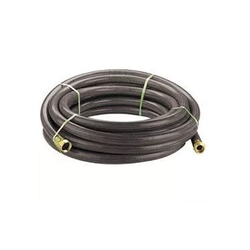 Appreciated for their lightweight, abrasion resistance, high functionality and dimensional accuracy, these rubber air hoses are widely used in compressors, jack hammers, shipyards and workshops. We provide this flawless range at industry leading rates. We are involved in offering Rubber Water Suction Hose, which is made from latest technology machines using premium quality natural or synthetic rubber. Free from porosity, air blisters and other visible defects, these water suction hoses are ideal for mining and construction purposes. The offered range of high functionality hoses is widely used among our customers, owing to its longer service life and exceptional quality. We are the eminent manufacturer and supplier of Rubber Oil Suction Hose that finds a major application for offshore and dock operation of petroleum and other products. Made with the help of latest technology based machines, these oil suction hoses are provided in various lengths. The provided series shows high resistance to petrol, abrasion, oil and adverse weather conditions. Our company is the celebrated manufacturer and supplier of Rubber Welding Hose, which is used in construction sites, ship yards, power stations and engineering workshops. Made as per the predefined industry standards and norms, these welding hoses are highly resistant to various non combustible gases. We provide these high functionality rubber welding hoses at industry leading rates. Lining Smooth lining of natural/synthetic/blend rubber compound resistant to fuel gas, oxygen and other non combustible gases. Reinforcement Natural/synthetic fibre applied by a suitable technique. Cover Smooth/fluted/cloth mark finish, of suitable rubber compound resistant to heat and weather. Color Red for fuel gases, Blue for Oxygen and other noncombustible gases. We are engaged in the manufacture and supply of Rubber Car Washing Hose that can be availed in different shapes, sizes and lengths. Appreciated for their high resistance against oil and adverse weather conditions, these car washing hoses find a major application in service stations and garages. These rubber car washing hoses are tested on several quality parameters before delivering to the clients. 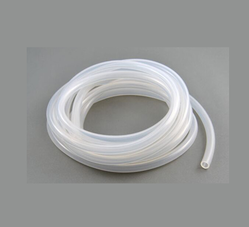 We are one of the eminent manufacturers and suppliers of Rubber Chemical Hose that finds a vast application in handling acids, chemicals, alcohol and alkalis while production and transfer operations. Made available in several sizes, these chemical hoses are appreciated for their excellent finishing, operational fluency, precise dimensions and longer service life. We provide these products at reasonable rates. 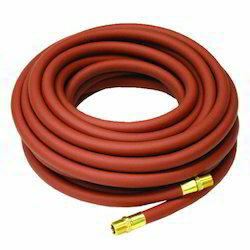 We are the eminent manufacturers and suppliers of Water Rubber Hose that finds a vast application in gardening and agricultural uses. Made using premium quality rubber procured from our reliable and trusted vendors, the offered range of hoses is appreciated for its high durability and tensile strength. We provide these efficient water rubber hoses at reasonable rates. Size 1/4" to 3", 2" to 12", 1"to 12", 3/8" to 2" & 1/2" to 4"
Offering a wide range of Air Rubber Hose to our valuable client in different specification to meet the diverse requirement of client. known for its reliable performance. 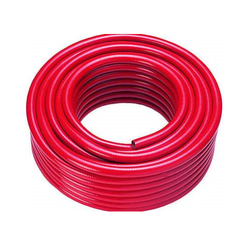 Compatible with nail guns, staplers, air tools and pneumatic wrenches, these rubber hoses are manufactured from premium quality rubber procured from our trusted vendors. We conduct several quality tests to examine these hoses before the final dispatch. Our company is the preferred name in the industry of Rubber Pneumatic Hose, which is designed and manufactured as per the industry guidelines. Mostly used in workshops, shipyards, compressors and jack hammers, these high functionality hoses are made from supreme quality synthetic or natural rubber. We provide the fine range of pneumatic hoses in different sizes to cater to the diverse customer requirements. We are the celebrated manufacturers and suppliers of Rubber Steam Hose that can be availed in several sizes and diameters. Applauded for their excellent quality, durability, lightweight and high resistance to oil and heat, the presented range is extremely popular in the market. 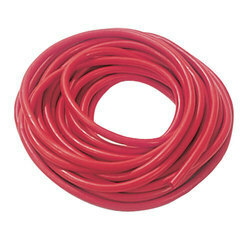 Rubber steam hoses are provided in multiple colors as per the requirements of our valued customers. Cover Heat resistant Outer Cover. We are engaged in providing a wide range of Rubber Duct Hose to our valuable client. Manufactured from superior quality rubber, the offered range of duct hoses is majorly used to pass compressed air among or to the pneumatic actuators, tolls, valves and components. 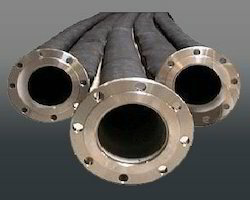 We make sure that the provided duct hoses are made in compliance with the industrial guidelines. Ours is a leading name, which is engaged in the manufacture and supply best quality Chemical Rubber Hose. Offered bushes are manufactured by our experts in complete compliance with the international quality standards. Manufactured under the strict supervision of our expert professionals, these rubber hoses are vastly demanded among our valued customers. 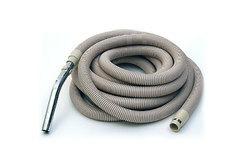 These durable hoses are covered with natural or synthetic rubber in wrap or plain finishing. We are one of the leading manufacturers & suppliersSuper High Pressure Hoses. 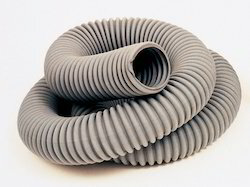 We are one of the leading manufacturers & suppliers ofAir Duct Hose. We are one of the leading manufacturers & suppliers ofHot Water Hose. Lining Smooth lining of suitable rubber compounds, uniform in thickness, resistant to the hot water. Cover Smooth, fluted or cloth marked finish of suitable rubber compound of good weather resistant to abrasion, tear and heat. 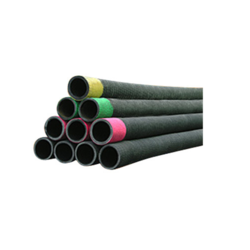 We are one of the leading manufacturers & suppliers ofRubber Hose. For low Pressure hydraulic oil lines.Meets or exceeds SAE 100R6. Cover Oil and weather resistant synthetic rubber cover. 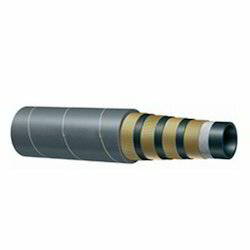 We are one of the leading manufacturers & suppliers ofRubber Hose Tube. Lining Synthetic oil resistant rubber tube. Outer Oil and weather resistant synthetic rubber cover. 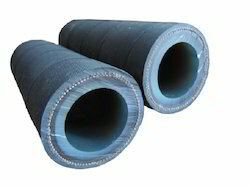 We are one of the leading manufacturers & suppliers ofAsbestos Covered Furnace Coolant Hose. For protection from exposure to high temperature, current leakage, radiation from steel furnace, open flame and splashes of hot metal.